Woo-hoo what a fabulous weekend! 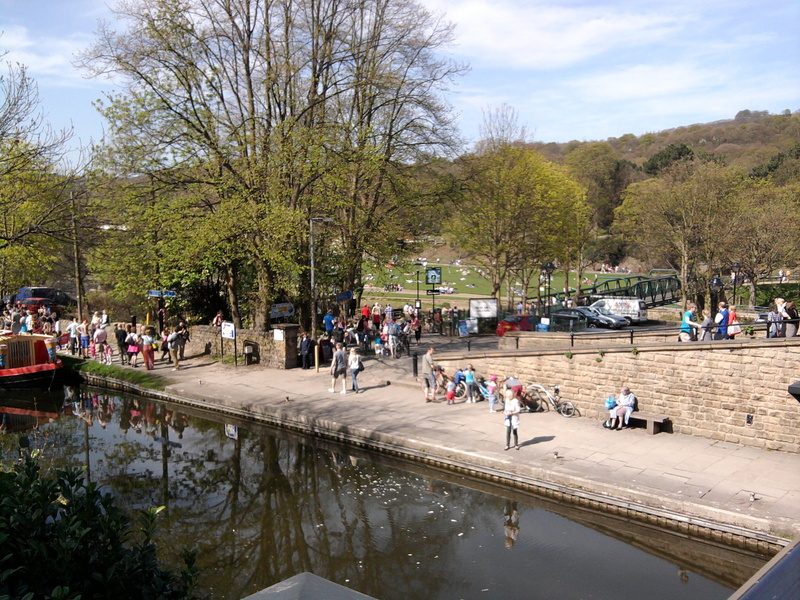 At one point I thought I’d go for a quiet stroll around Robert’s Park, here in Saltaire – but it seems so did everyone else – it was absolutely heaving! 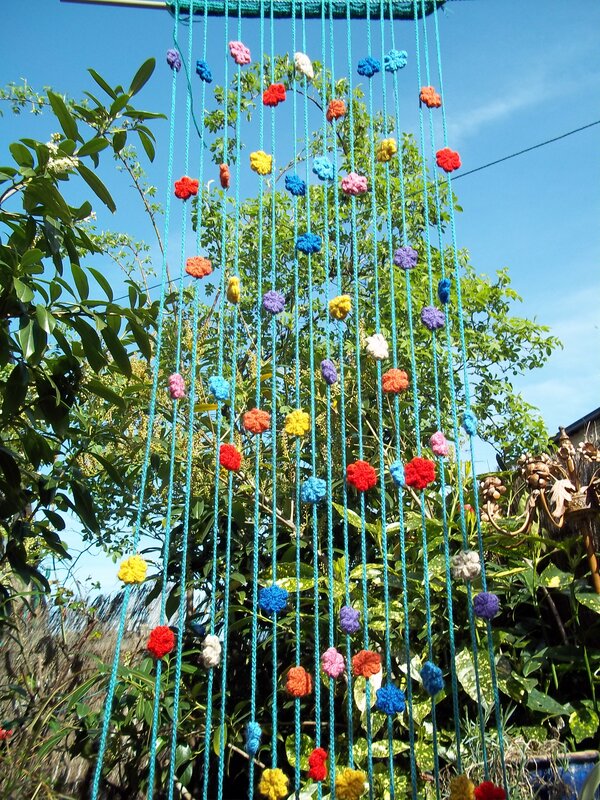 I retreated to my ‘yarden’ and got my sun lounger out and – being as bees the size of mice have been inviting themselves into my home and incessantly head-butting the windows – I also untangled my crochet door curtain. I made it last year by crocheting a sleeve to cover a plastic tube and from that I attached lengths of chain stitch onto which I threaded the flowers. Each flower consists of two sewn together to provide the weight to keep the strands straight. It was a very fidgety and time-consuming project but hopefully worth it in the end.